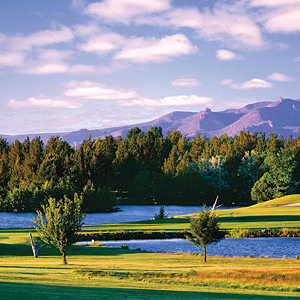 REDMOND, Ore. -- There's a lot of good to great golf in central Oregon, but perhaps nothing offers as much for every budget and every level of golf than Eagle Crest Resort. The Resort Course is considered the more challenging of Eagle Crest's championship layouts. Stretching across over 1,700 acres in Central Oregon, Eagle Crest Resort boasts two championship golf courses that enjoy more than 300 days of sunshine every year. The Ridge Course is the lengthier of the two layouts, known as a "driver's dream." Eagle Crest Resort boasts two different championship courses. 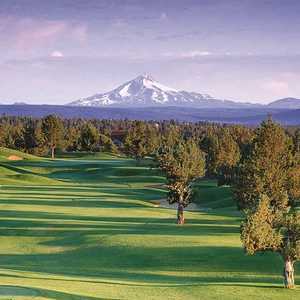 Sprawling across more than 1,700 acres in Central Oregon, the golf courses get over 300 days of sunshine every year. With the Resort Course, it is almost as though you are playing two courses in one. Located just minutes from the Redmond airport, the resort offers two championship courses as well as the shorter Challenge Course and a putting course -- sure to please any golfer and even some who may not have taken up the game yet. But make no mistake, the two regulation length courses, especially Eagle Crest's Resort Course, can challenge even the best players, particularly from the back tees. "If I'm looking for a real test, I like playing the Resort Course," one golf shop associate said. "But if I'm just looking to have fun, it would be the Ridge Course." Indeed. While the Resort Course, which opened in 1986, is actually 200 yards shorter than the Ridge Course at 6,704 yards, it's much tighter and features a lot more out-of-bounds. Designed by Gene Bunny Mason, accuracy off the tee is critical, and nowhere is that more evident than the short, par-4 second hole. Teeing off eight stories above the fairway, trouble looms left and right of a narrow fairway. If you hit driver accurately, reaching this 481-yard dogleg right in two is a distinct possibility, but miss the fairway, and all kinds of big numbers loom. And while the second may be one of the tightest holes, it's hardly the only one. This theme repeats itself several times during the round, although if you manage your game, you can score. Meanwhile, the Ridge Course, though longer, affords a lot more freedom off the tee and may be the prettier of the two courses. Both have great views of the Cascades in the background, but the Ridge Course, which is located on the other side of the highway from the Resort, isn't impacted as much by homes. Designed by John Thronson, the course features a variety of holes, including a few with water on them, such as the signature, par-3 third and finishing hole. At 6,952 yards, it plays plenty long from the back tees, but like all the courses at Eagle Crest, there are four sets of markers, providing the right test for everyone. "It's real popular," Eagle Crest Director of Golf Ron Buerger said. "Golfers really love to play it, and it really is a challenge." In 2006, it was named the Pacific Northwest's Best Short Course by Links Magazine. In fact, all the courses at Eagle Crest have good pedigrees. The Resort Course has been named among Golf Digest's Best Place to Play; the Ridge Course has hosted the 1999 and 2002 Northwest Open, as well as the 2006 Oregon Open. And the Putting Course, well, that's just fun for everyone -- no real experience required. With all the good golf in central Oregon, Eagle Crest remains a solid choice at a decent price. Since it sits low in the valley, the golf season is longer than at some of the other resorts, and with sunshine 300 days a year, the weather is generally pretty good, too (especially in the summer and the fall). 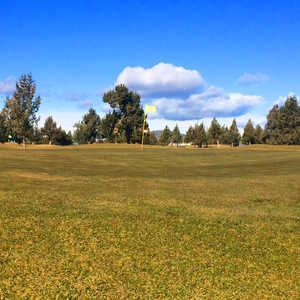 The courses also have good practice facilities, and the fact that there's a putting course as well the Challenge Course makes it a great place to stay. The resort also offers reasonable golf packages in a hotel that's extremely family friendly.